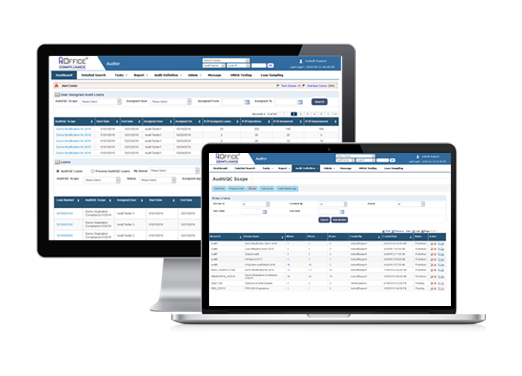 RxOffice ® Compliance is a fully web-based quality control software solution that can be accessed from any web browser without the need to install client software on a personal computer. Use RxOffice Compliance to create a single QC system of record for all your audits and processes. Streamlines QC/audits with dynamic, con?gurable work?ows and audit tools including sampling. 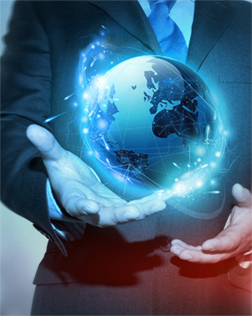 Easy importing of loan data directly from any of your mulple sources including: loan origination system (LOS), servicing systems. Define findings options for each audit, including severity, responsibility, comments, required questions and more. Monitor the quality and volume of auditor work with extensive supervisory review tools. Track loan and servicing quality by virtually any parameter including: channel, Originating unit, underwriter, product, region, investor, delinquency status, collector, loss mitigation status. Access a library of pre-designed reports to track QC/audit findings, QC/audit status, quality trends, quality comparisons, and findings feedback. RxOffice Compliance has a comprehensive rule set that addresses all relevant regulatory and compliance requirements issued by Fannie Mae, Freddie Mac, FHA, VA and the Consumer Financial Protection Bureau for both the origination and servicing functions. The rules library in RxOffice has over 1300 rules for origination and over 900 for servicing. Each origination or servicing requirement includes an associated audit step which enables users to test for compliance. The application allows for the grouping of audit steps in order to create custom “checklists”. The audit steps include embedded links to the background source of the requirement. These citations of authority allow users to understand the source of the rule and assist in understanding how the requirements affect the lending and servicing processes. The open architecture of our technology allows us to provide a one-stop solution for your pre & post-closing audits, mortgage servicing QC and due diligence audit challenges. Oversee quality control for all processes: EPD’s, foreclosure, TRID compliance, Loan Modifications, Loss Mitigation, Ability to Repay (ATR), QM & Non-QM. The application tailors system functions specifically to your quality control requirements and workflow - improving your operational efficiencies, and ensuring compliance. The platform makes your mortgage QC plans/audit plans, policies and procedures reportable and actionable. RxOffice Compliance platform has been utilized by global consulting firm to assist largest servicers to comply with OCC Consent Order. At peak usage over 1000 auditors signed in and actively utilizing and engaged with software. Ability to define multiple user role assignments in order to control access to information, actions that can be taken, and the handling of exception reporting.